So proud to announce that we won the Bride’s Choice for 2012 by Wedding Wire. This prestigious award is determined by reviews from our past clients and recognizes the top 5 percent of local Wedding Professionals from the WeddingWire Network. Thank you very much! It is an honor! Alex was so honored to have been a featured speaker at PMA in CES in Las Vegas this week. CES is the world’s largest technology conference and as part of that PMA brought in talents from all over the country to speak on their respective skills. Alex spoke on his specialty, Creating Cinematic Films. As part of the event, he was approached by Technicolor to provide footage to exhibit their new product CineLights. CineLights is their newest coloring tool and is really amazing! Technicolor is the colorist company for every major motion picture in Hollywood probably best known for being the first company to add color to a film- a little film called “The Wizard of Oz.” Check out the credits of every film you see, and you will see the logo for Technicolor. Check out the pics below and take note of the wedding footage on the screens! Pretty cool!! 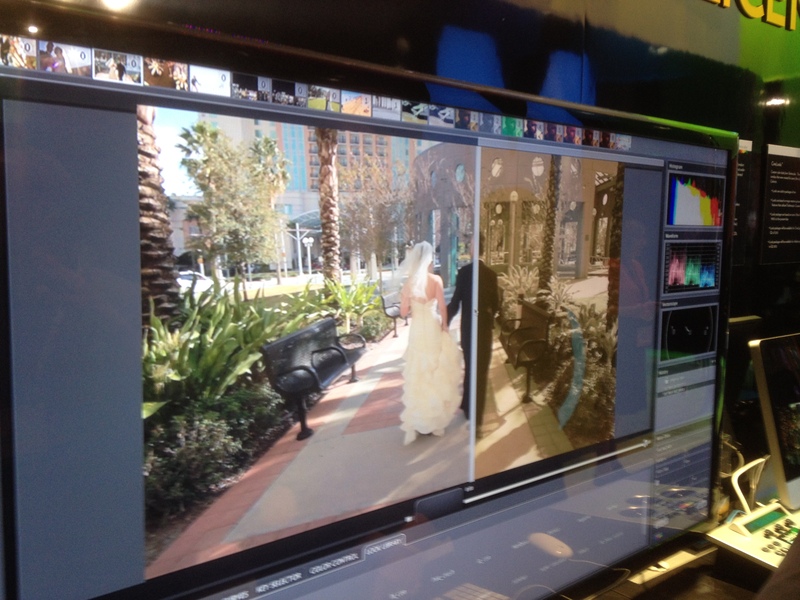 Preview: Photovision 2012 Wedding Shoot Out! 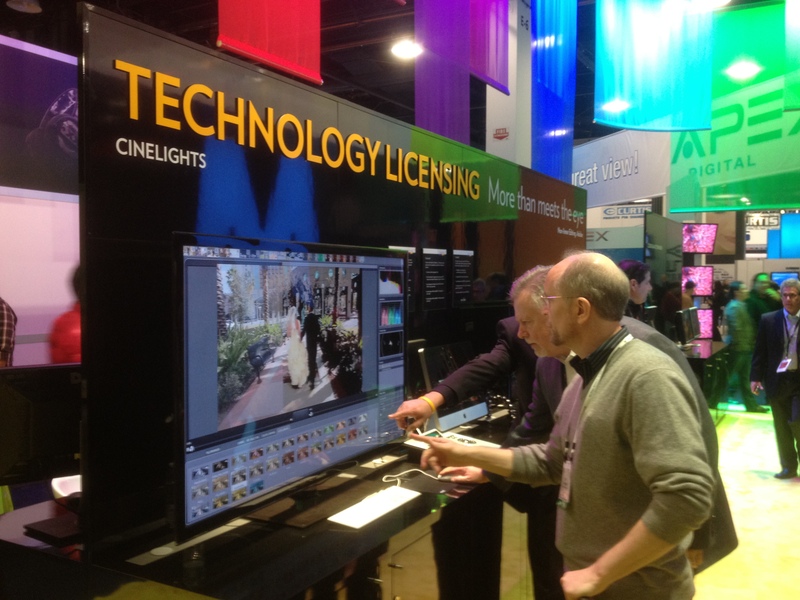 We recently blogged about our involvement with Photovision. In case you didn’t read our earlier post, here’s a recap. Check out the preview film of Photovision 2012 Wedding Shoot Out! What an amazing honor to be the only filmmaker EVER to be invited to participate in PhotoVision! With the new age of DSLR cameras and the crossing over between photographers and filmmaking, PhotoVision invited Alex and the Voila team to be a part of this year’s educational videos focusing on training up and coming filmmakers and photographers. These tutorial dvds featuring Alex and some of the top photographers in the world will reach up to 50,000 photographers!! The wedding shoot-out put this team of amazing artists to the test. They were challenged with timed scenarios in which they were given outlandish circumstances to create fabulous images and film. They had to make on the spot decisions and make the best of the situations they were in, regardless of backdrop, lighting, and other limitations. The pressure was on… but they sure did make it look like fun! Check it out!! 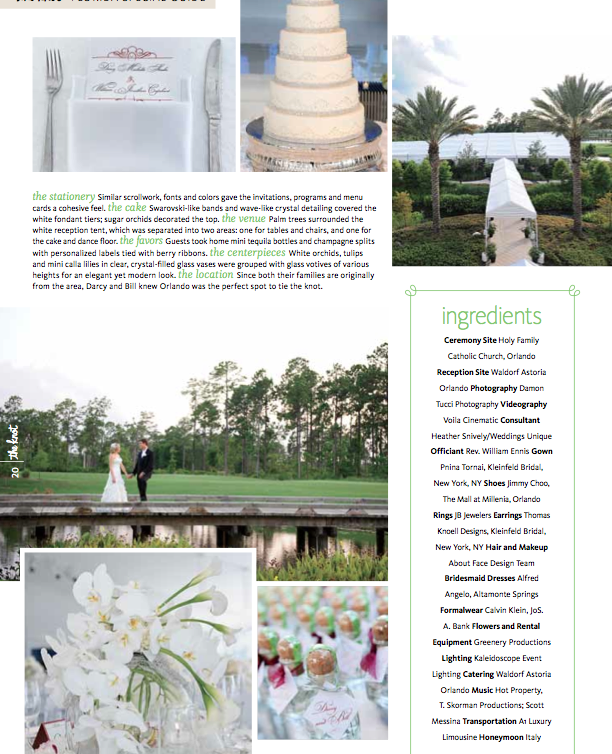 We are so proud to have been involved in a gorgeous wedding that was recently featured in the Knot magazine! With an amazing team of vendors, Bill and Darcy’s wedding was full of glitter and glamour. If you haven’t seen their film yet, please check it out below AND pick up the latest copy of The Knot on newsstands now! Emily and Sam had a gorgeous celebration that began early in the day at the Marriott Waterside where both parties started getting ready for the big day. From there, they married at the Academy of Holy Names Chapel and then partied at the always classy Palma Ceia Country Club. Being particularly close to their families, there are some great moments between family members captured in their highlight. This amazing celebration was meticulously coordinated by Sarah Fairbairn with One Fine Day, inc. A great couple and a great wedding all in one!